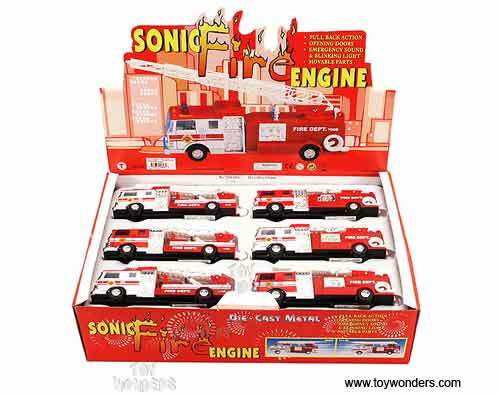 7000IC Sonic Rescue Fire Engine with IC Emergency Sound & Blinking Light. This Rescue engine is a 7"L x 2"W x 2.75"H with pullback motor action, openable doors, and turnable and retractable ladder. 12 pcs per display box in assorted styles. 48 pcs per inner box. 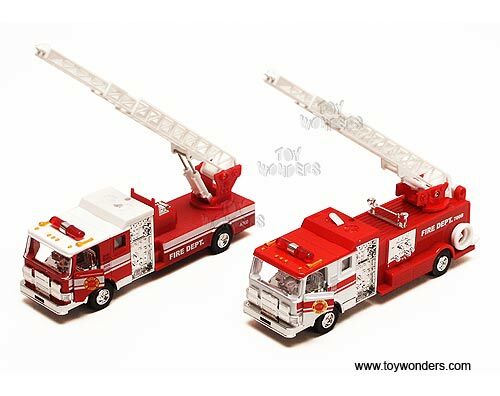 To see more die-cast collector Fire trucks (click here).